Renovating compact or small homes with creativity and aesthetic brilliance is not always an easy task. But in the Kanagawa Prefecture of Japan, we came across a modestly-sized and bland apartment which was brilliantly transformed into a charming abode by the restoration and renovation experts at Happy Home Co. Ltd. With a simple structural tweak and the introduction of sleek and stylish design and décor elements, the revamped apartment is a joy to live in, even for kids! It’s more open than before, receives ample sunlight and has an extremely functional layout with visually appealing accents. Step inside with our photo tour! The polished wooden floor was beautiful and the interior had oodles of potential. 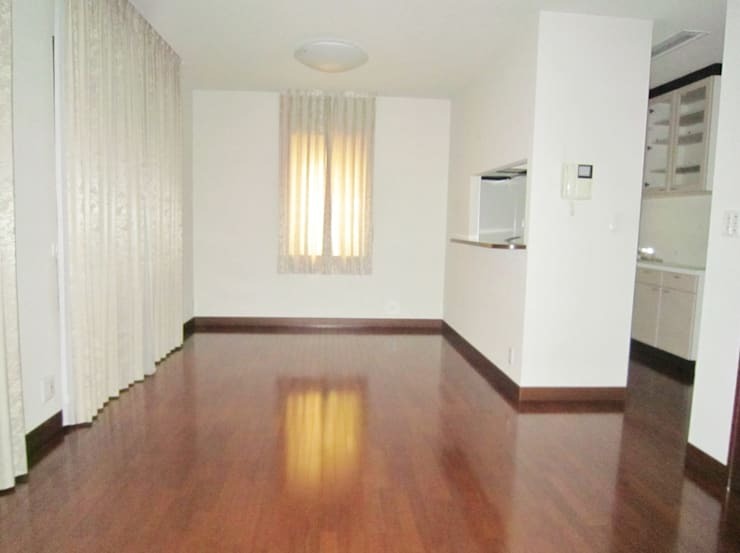 But the lack of proper furnishing and decorative elements made the space look lifeless and dull. Also, the wall separating the cramped kitchen from the rest of the home appeared to hamper the openness of the interiors. The new and open layout helps the space breathe. The wall between the kitchen and the rest of the home has been torn down and swanky wooden pillars now help in grounding the home with a solid look. A cosy dining arrangement and lots of child-friendly elements deck the left side of the sunny hall. The large glass windows now feature blinds and allow tons of sunlight to flood the interiors. 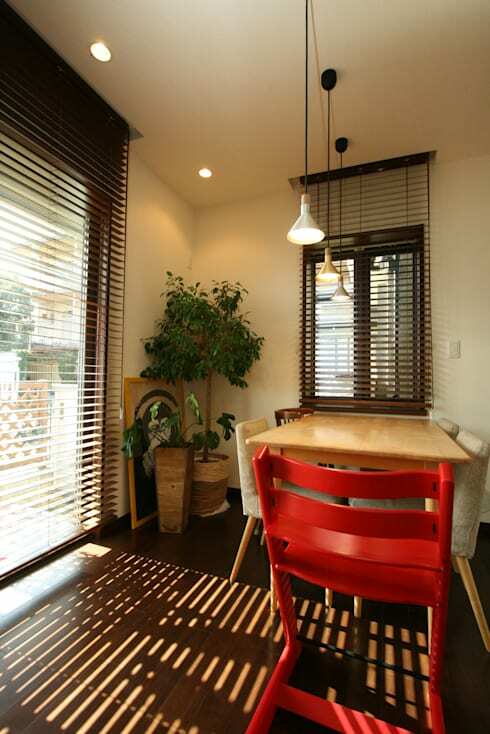 A lush potted plant, artwork and crisp window blinds make this dining nook a mellow and inviting space. The simple table is accompanied by four chic adult chairs and one bold red high chair for the kid. A couple of trendy pendant lights complete the look. The smart and contemporary open kitchen stands out due to its jazzy wall panel composed of bright mosaic tiles. The kitchen floor lined with creamy non-skid tiles stand out from the wooden flooring for the rest of the home too. 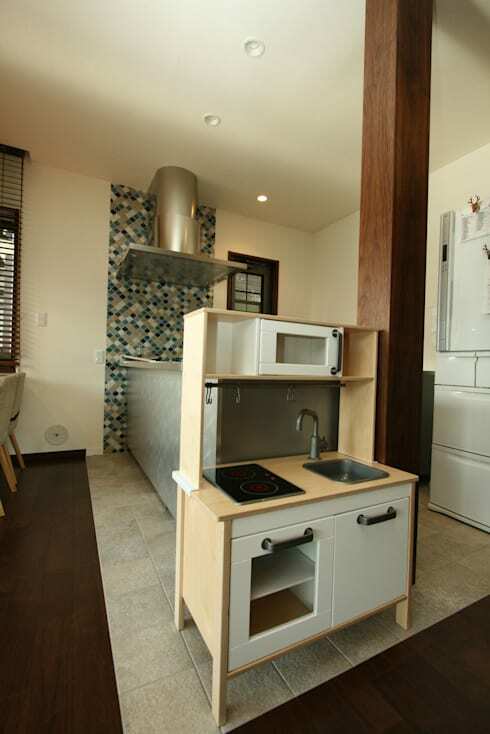 What we love is the child-friendly small kitchen on the side with its cute microwave and cabinets. The architects have come up with an amazing way to make the little one self-sufficient. The living room has a distinct bluish green wall that has shelves running from one end to the other, even as the design keeps the window as the centrepiece. Next to it, the white couch and a low-slung entertainment unit complete the entire look. 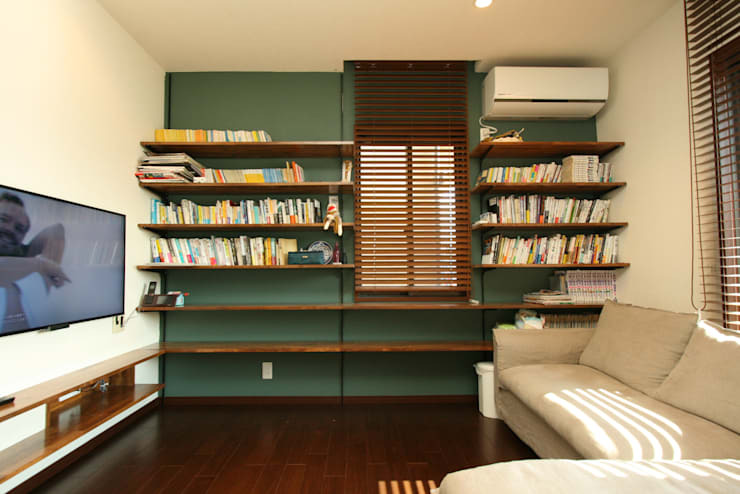 Thanks to the wall, there is plenty of space for the books as well as entertainment in one compact space. The simple bathroom has a retro-tiled countertop which is the perfect backdrop for the oval white sink. The large mirror conceals storage opportunity behind it, and the soft lighting plays up the strengths of the room. 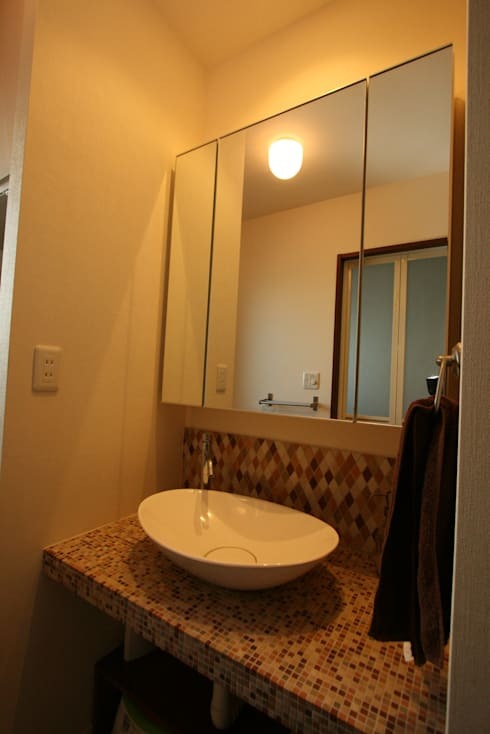 Below, alcoves have been built for extra storage of toiletries and dirty laundry. 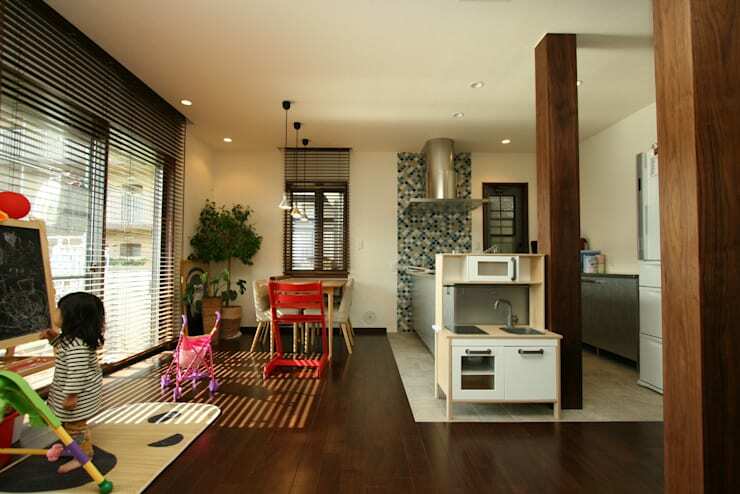 This Japanese home proves that size is just a number if smart designs and creative decor come together. Check out another before & after story for more inspiring ideas: The miraculous makeover of an awful apartment. What do you think of the bright and eclectic decor in this home?